Constantly working in various capacities in the off season; from working in a genetic research laboratory to digging drainage in a cornfield, Whitney enjoys learning new skills year-round. Between tours, Whitney enjoys getting as much time outdoors as possible. 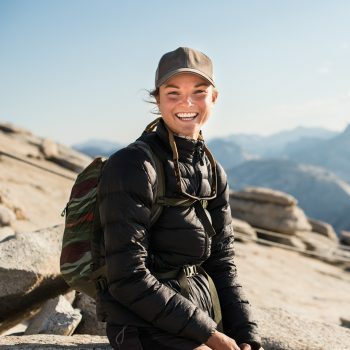 Some of her favorite activities include, rock climbing, running, swimming, kayaking, and bagging peaks. Whitney loves meeting new people and sharing the places she loves with whoever she comes across.